Morning ladies today I wanted to take a closer look at a brand that's growing a strong following at an alarming pace. You may recall that just before Christmas I styled a couple of pieces from Great Plains where I was set the challenge of styling two pieces for the office & then for a night out (see here). Ever since then I've been keeping an eye on their latest collections & have to say that not only have a lot of pieces been catching my eye, I've also noticed their clothing being featured more frequently in various publications/press & on celebrities such as Holly Willoughby too. And having had a look at their latest Spring/Summer collection there's a lot of great stylish & timeless pieces that are chic with beautiful & elegant detailing not to mention some stunning tailored coats & jackets, which we all know is my real weakness! Now I've been lucky enough to have been allowed to choose an couple of pieces from their current offerings to style but before I show you what I chose I want to share with you just a few images that I think perfectly sum up their latest collection & just why we should perhaps be taking more note of Great Plains as a whole. For me this is the perfect combination of a tailored laid back style that so many of us want to emulate in our clothing. Timeless pieces that incorporate the latest trends without the worry of looking mutton dressed as lamb. And the temptation doesn't end there as you'll see from the below - my top picks for this season. Beautiful boho & broderie tops that would be perfect for pairing with jeans, denim skirts or cut offs. A stunning floral jumpsuit that would be perfect for teaming with trainers & a biker jacket. Pretty broderie dresses perfect for summer holidays & elegant simplistic crepe joggers for laid back understated coolness. So back to the two pieces that I choose to style. 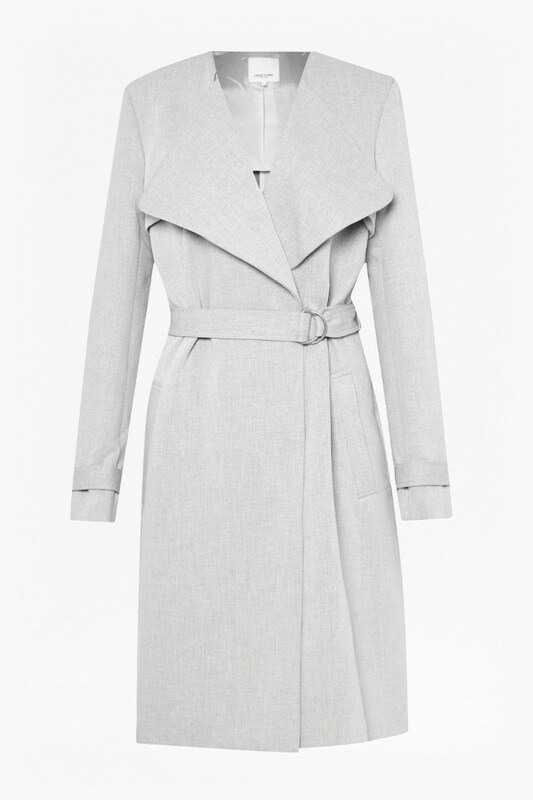 Well firstly we all know our summers can involve a jacket or coat far more often than we'd like so when I spotted this stunning soft grey trench coat it was an immediate love at first sight moment. 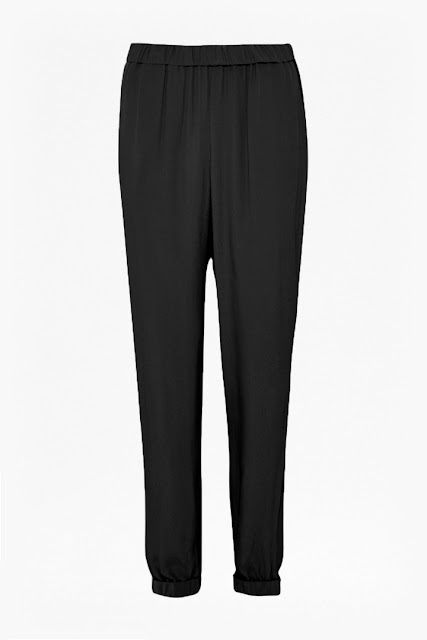 And secondly always on the look out for something to make me break out of my jeans addiction, I chose the crepe joggers in black, which will be perfect for laid back kind of days teamed with trainers or sandals come the sunshine & then dressed up with heels for an evening. In fact if you're after a jeans alternative then they really do have a great selection of alternative styles, click here to see further. Naturally me being me, as soon as the items arrived I couldn't wait to try them on & they didn't disappoint. In fact I'd go so far as to say that they went even further than my expectations. I'm not sure what I'd imaged the trench to be like but I just knew I was going to love it. What I hadn't expected was for it to be such a great weight & something I can see me wearing all year round. 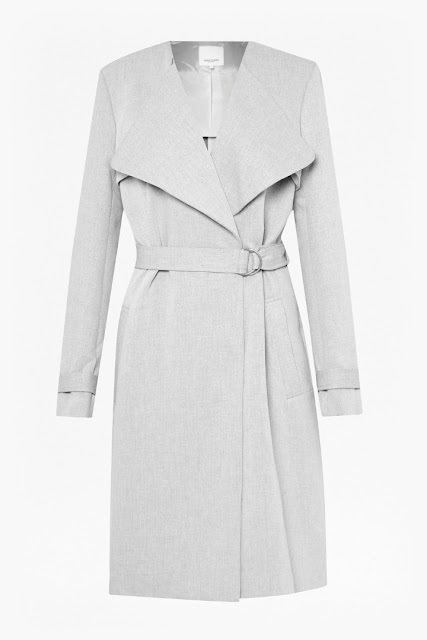 I've got a couple of special events coming up this summer so if either day is a little cool this coat is going to be perfect for throwing over my outfit for an extra layer of warmth. Equally it also makes a great substitute to one of my beloved blazers & means I can still feel tailored & smart whilst embracing a different look. Seriously you'll love it & the fit & tailoring is just spot on. I'm wearing my normal size (UK 8) & it's perfect - a really stunning coat. As you can see from the below image it's also perfect for teaming with my crepe joggers too. Onto the joggers next & like the trench coat the quality of these didn't disappoint. Lovely & lightweight without feeling too flimsy or cheap. Again I went for my normal size & would say the fit is perfect. Loose without being too loose & a good length in the leg. Plus as you'll see from the pictures below they have pockets & cuffed hems. Whilst I've styled them with flats in the above picture & trainers below they'll also look stunning dressed up of an evening with heels & a cami & if teamed with a belt would give the appearance of a jumpsuit without all the inconvenience of an all in one. And for a casual & laid back Sunday here's how I'm wearing them today. So ladies what do you think? Are Great Plains a brand that you're becoming more aware of or perhaps it's already one of your favourite places to shop? Maybe I've shown you something to tempt you & get you clicking that? As always I'd love to hear your thoughts & if you've not already done so, you really should check out their 'new in' section as they have some lovely pieces. Have a lovely Sunday, don't forget today's the last day to get 25% off all shorts, tops & tees at Boden plus free delivery & returns. Click here to get shopping & use code 2K7U at checkout. Plus 25% off Baukjen's sunshine edit also ends today see here for details. I really like the way you have styled these outfits. The spring collection really does look great and have some really nice pieces. But I think the prices are steep.